When I began staying home with my daughter three years ago, I searched high and low for opportunities to bring in income for my family. After a few months, I discovered mystery shopping through a friend and fellow blogger, Being Cheap Is Easy. Now, I am hooked! First things first though, what exactly is mystery shopping? MYSTERY SHOPPING is a tool used externally by market research companies, watchdog organizations, or internally by companies themselves to measure quality of service, or compliance with regulation, or to gather specific information about products and services. Mystery shops can include a wide range of places such as restaurants, hotels, gas stations, phone stores, bowling alleys and movie theaters. Personally, I love that it’s flexible in that you are able to choose your hours, it gives my family an opportunity to try new places, and occasionally, we even make a little profit from it. There are a slew of mystery shopping companies out there to work through and finding the ones that are most popular in your area can be tricky. Some I personally use for southeastern Michigan include Goodwin Hospitality, AboutFace and BestMark, but I would highly recommend browsing a trusted website such as the Mystery Shopping Providers Association first to read more, find shops that sound of interest to you, and sign up through their accredited websites. Always watch for scams! You should never enter credit card information or pay a monthly fee for legitimate opportunities. Once you find a site you like, you will be asked to complete a writing test, usually describing your latest dining experience with 500 words or less. From there, you will need to fill out paperwork with your email, mailing address and more. You will be expected to pay for items upfront. Most companies do not pay you for 30-45 days after the shop is performed; so do not take this on if you do not have a steady source of guaranteed income. Consider the costs before choosing a shop. Many shops require that you purchase something specific (for example: two alcoholic beverages, which can add up quick). Just know you may burn through your shop money quick paying for things. It’s better to think of it as a heavily discounted night out versus a night of making profit. You will need to track all expenses and profits on your own. If you earn more than $599 during the year through reimbursements and profits, you will need to fill out a 1099 form for the mystery shopping company and claim any profits in your taxes. With that said, you will need to provide your social security number prior to applying for your first shop. You will need a PayPal ID. All of the mystery shopping companies I have worked with have paid me through PayPal, so be sure to have an account activated (it’s free). Printer and scanner access is needed to perform shops. You will fill out online forms and upload receipts. Additionally, you will likely get a lot of emails, so be sure to read them as often as possible to apply for the best shops. When you’re out shopping, you will need to remember details. I suggest reading your questionnaire in advance to prepare. (Example questions: Did your server wear a name tag? If so, what was their name? Were the counters wiped down and the napkins stocked?) I like to discreetly make notes in my phone as needed (especially with names so I don’t forget them!). Overall, mystery shopping can be a fun source of income, but I wouldn’t suggest you quit your day job to do it. Still, if you love experiencing new places, have a passion for writing, and are looking for a discounted or free night out, it’s worth a shot! 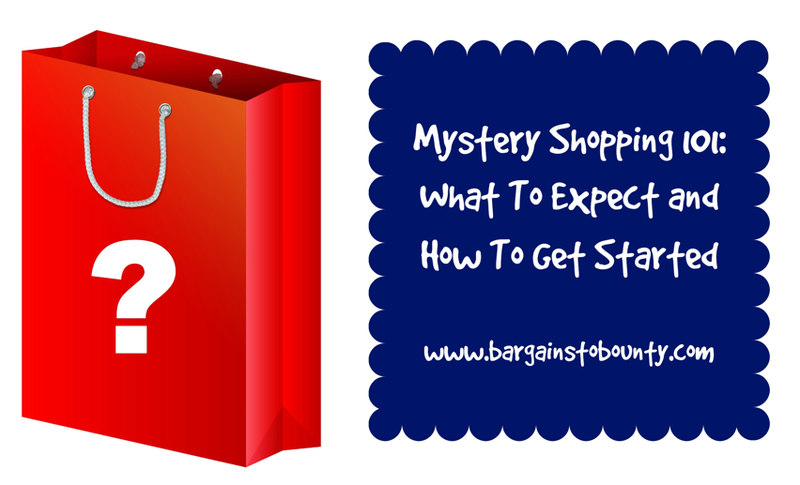 Have you ever been a mystery shopper? What was your experience? Lauren Weber is WAHM social media manager who blogs at Mrs. Weber’s Neighborhood, where she shares about her life with two little gals, as well as tips, recipes, and fun happening around Southeast Michigan. So let’s say you break even once you get your money back on every mystery shop that you do, and let’s say you make more than the $599, you get taxed on what you get back even though you do not make any money? I was on a list to be a Mystery Shopper but every invite I received was for over 30 miles away from where I live. I never received one that I was able to do. I was really disappointed! Similar for me. I’ve looked into this a couple times before but living outside of Metro Detroit(Bay City area) there were just never decent opportunities often enough. Even if we went to Saginaw more often it was going to be a stretch on it being worth the effort of watching what opportunities came up. Thanks for the mention Lauren!!! I totally agree with the above comments, shopping can be hit or miss…but I tend to do ones for places I’d already go to: like Costco or the movie theater. I also like the post office ones since I frequently mail packages. When you sign up, you can put the mile radius you would like to complete–I tend to keep mine between 5-10 miles. I live in the GR area and there are quite a few available! I own a local mystery shopping company, Cambridge & Associates, focusing on the apartment industry. I am always looking for new shoppers. Since we are a smaller company our shoppers do not receive mass emails like the larger companies. I would be happy to answer any questions just email me. I have completed some mystery shops.I am looking to get into it a bit more.Carrie it is good to know that you own a mystery shop company these jobs are particularly hard to find. However, I did come across this video on youtube https://www.youtube.com/watch?v=V3-cappvCDM that did give some great tips on how to find more mystery shop jobs and what to expect.  I hope that helps, I am ready to make some more money!